As Hub Activities Peer Worker, you will contribute to the successful delivery of the ‘include hub’ by providing innovative, friendly, informal support and advice both at the drop-in centre and in the local community. You will contribute to the positive energy and non-judgemental environment of the include hub, ensuring members’ ideas are heard and that they feel supported to shape how things are done. You will work closely with the staff and volunteer team to offer hub members a sense of belonging and an environment where individuals are supported to identify and put into action realistic solutions to their individual challenges. Include (trading name of Gibran UK) is a not for profit organisation that has been providing free independent community support to offenders across Wales since 2006, supporting nearly 3k people in this time. Our flagship project, the ‘include hub’, is shaped by ex-offenders to benefit this group and the wider community. 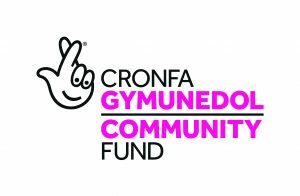 The project is funded by the National Lottery Community Fund. At the hub, there is access to 1:1 support, and open drop-in where people receive practical and emotional support, from basic needs (positive company, nutritious lunch, a hot shower, clothing), to involvement in groups or courses with a focus on participation in positive activities. The hub’s design relies on the input of volunteers and its member, and offers Swansea a real opportunity to create a new model of working, one that is genuinely co-produced by people who benefit from the service, and offers the flexibility to give members what they want. The Hub Activities Peer Worker will be essential in the development of the hub, ensuring that it’s a vibrant and welcoming space for all. In addition to providing hospitality and a welcome to members accessing the hub, you will be involved in helping people overcome some of the challenges faced by being involved in offending, and will be involved in organising, taking part in, and delivering positive activities. Some examples of the activities requested by hub members include: Trips out, Crafts, Music; Training; IT; Cooking; Fitness & Wellbeing. For further information about this role and to apply please email: info@include-uk.com or telephone 01792 814792. The include hub administrator will support the day-to-day running of the hub by providing core administrative functions. You will work alongside the staff and volunteer team to ensure a safe and welcoming environment at the hub. As a first point of contact for callers and visitors to the hub, you will need to be a friendly, approachable person with an understanding of the challenges faced by people involved in offending. Welcome new members, you will be a friendly, welcoming person who’s confident in communicating with people from all walks of life without judgement. You would be expected to contribute towards the welcoming environment, getting visitors refreshments and being a good team player. You will also be able to develop and sustain good relationships with partner organisations. As an organised & IT literate individual, your role will include using a case management database; recording and monitoring the outcomes of the project, managing the include hub activities diary; co-ordinating the organisation of meetings & activities with the volunteer team; taking calls; receiving / responding to e-mails; managing petty cash and assisting volunteers in replenishing and ordering hub consumables. It would be advantageous if you are also able to carry out basic booking keeping / financial administration tasks such as preparing, generating and paying invoices. As the include hub drop-in Centre Manager you will be a member of the Senior Management Team, reporting to the Managing Director, but will be fully involved in day-day delivery, supporting staff in their roles and creating the welcoming and upbeat environment of the hub. You will need to be a strong leader, with an excellent understanding of the challenges faced by people involved in offending, and someone who is confident in communicating with people from all walks of life without judgement. As the include hub drop-in Centre Manager you will help manage and grow the drop-in service by strengthening our partnership links and coordinating services delivered at the hub. Increasing the opportunities for offenders, volunteers and developing the ideas for people to be involved in positive activities. ensure a quality service that meets the targets agreed by our funders the National Lottery Community Fund. info@include-uk.com or telephone 01792 814792.